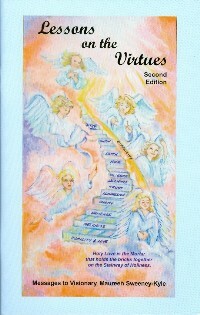 Booklet: "Lessons on the Virtues", 2nd edition. 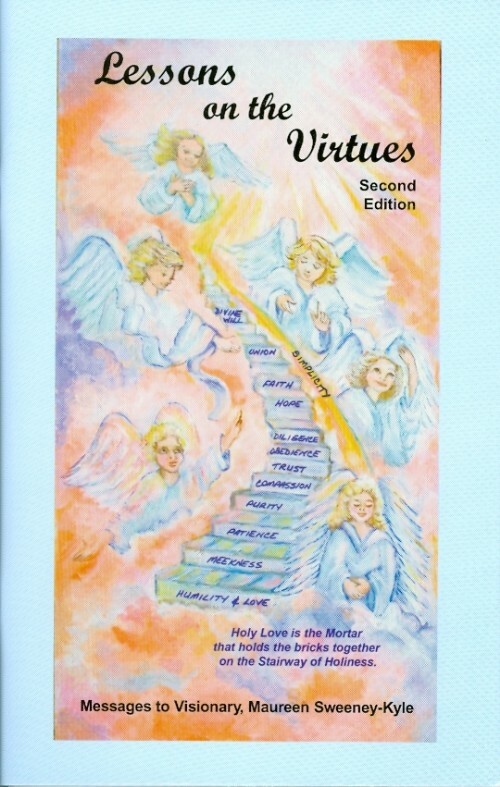 Booklet: Lessons on the Virtues, 2nd edition. Jesus teaches us how Holy Love plays a key role in our spiritual journey and gives lessons on practicing each virtue toward holiness. Other lessons include recognizing and overcoming obstacles, depending on God rather than people, and the importance of prayer in obtaining salvation. I have told you, My confindante, that prayer is a surrender and a sacrifice. But the soul must also accept the way prayers are answered. The little flower receives what it needs to be nourished and grow. The soul, through prayer, receives what it needs for salvation. In humility, he must accept Gods Will. If the Father knows what the little flower needs, does He not know your needs as well? Accept what he sends you in humility and gratefulness, like the little flower dancing in the sunlight. Front cover measures 5 x 7 in. Softcover. 80 pages.